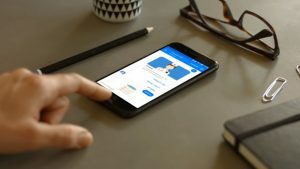 Pharma major Lupin announced the launch of a chatbot named ‘ANYA’ specially designed to provide medically verified information for health-related queries. It’s a made in India for India initiative aimed at answering patient queries related to ailments. One of the India’s leading pharma company Lupin Laboratories Ltd has released a chat-bot named ANYA, which has been built and programmed to provide medically verified information for health-related queries. It is said that it is first bot of its kind launched in India for disease awareness, ANYA has been designed to be intelligent and patient-friendly. The chat-bot has been created to answer patient queries about ailments. ANYA has been specially designed to help patients with health-related concerns as part of their disease management. The first therapy area ANYA will provide most reliable and accurate information to users is diabetes, which is one of the most common lifestyle conditions in India. Its main prupose is to help patients partnering with doctors to manage health related issues. It also offers a platform for patients to gain access to medically verified information for their questions at any time. Furthermore, ANYA is aimed at being a best authorised partner for doctors in resolving patient problems and providing medically accurate information.